Canadian real estate is out of reach for buyers in some cities. 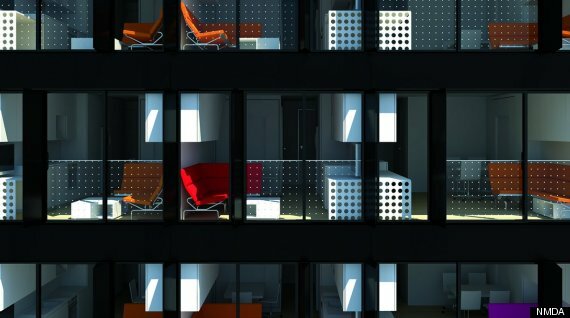 That's how a number of developers are tackling the problem, turning to "micro-condos" in order to help prospective buyers find a home in cities facing price pressures. "Micro-condos," units that measure as little as 226 square feet, continued to spread across Canada in 2014, as Smart House Ottawa put 151 units measuring anywhere from 315 to 598 square feet on the market. Prices start at $179,900. That came one year after its developer, Urban Capital, quickly sold most of the micro-condos at Smart House Toronto, a building with units measuring 300 square feet and up at University Avenue and Queen Street. Condo prices there start at $249,900. 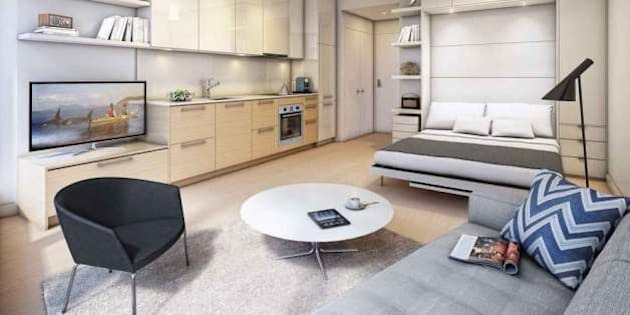 Micro-condos such as these save space by using features such as retractable countertops, kitchen islands that serve as dining tables and desks that can transform into beds. Urban Capital partner David Wex told The Huffington Post Canada that price, design and location are the factors that help these units sell. "It's all driven by the fact that this is a high-priced, expensive location," he said of downtown micro-condos. Wex sees them continuing to spread in major cities facing "price pressures" and a "lack of opportunity downtown." In that context, he can see them succeeding in areas such as Toronto and Vancouver — less so in places like Montreal, where, he says, there "isn't really an affordability problem." "Certainly, on a world level, Vancouver and Toronto are right for this," he said. 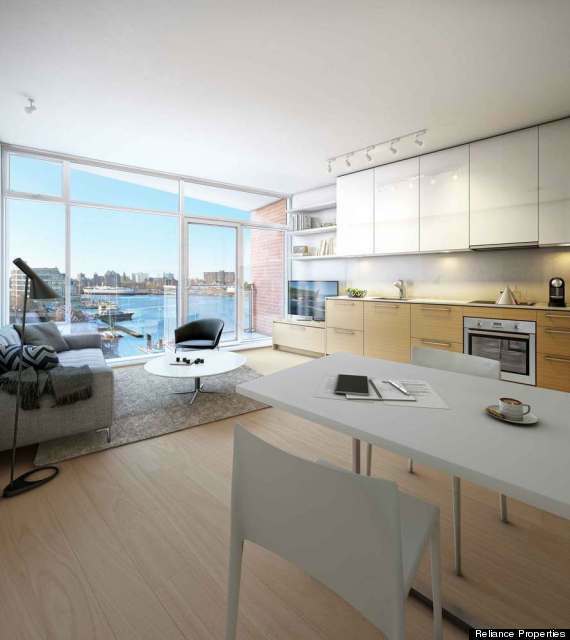 Statistics around Canadian populations certainly illustrate conditions in which micro-condos could succeed. A report by Pricewaterhouse Coopers and the Urban Land Institute from earlier this year found that home buyers are opting for downtown living over suburbia — indeed, the populations in urban centres went up by 7.1 per cent from 2006 to 2011. One of the factors attracting them there is the opportunity to live and work in the same place, and to avoid long commutes. Reliance Properties president Jon Stovell knows this. His company has developed two micro-condo projects, one in Victoria, another in Vancouver, and is planning another for the latter's downtown. In 2012, Reliance renovated a former hotel in Vancouver's Downtown Eastside and turned it into the Burns Block, 30 units of rental apartments that ranged in size from 226 to 291 square feet. The following year, it opened sales on The Janion, a historic hotel in B.C. 's capital that is being renovated to accommodate 122 condo units whose size varies between 243 and 352 square feet. Stovell said they sold 50 Janion units in a single day when they came on the market in October 2013, and most of them were gone after a few weeks — setting a record for sales in "any kind of Victoria project," according to him. Explaining the popularity of micro-condos, he said it's all about "trading space for place." "People are starting to make this connection that they don't need to pay for all this lifestyle infrastructure within their own four walls," Stovell told The Huffington Post Canada. "It cuts down on transportation costs, not only cars, but many people, we call it ex-transit, you don't even need to take transit anymore. You basically pretty much walk everywhere." He went on to say that the units appeal heavily to millennials, who he said have different ideas about status than previous generations. "They don't see the size of their homes and cars as a status symbol in the same way that they see social interaction as a way of social rank, so they're making completely different decisions about status assets," Stovell said. "We have a saying: 300-square-foot condominium, 3-million-square-foot living room, which means it's all outside." Reliance is now planning another micro-condo project of about 300 units at Davie and Hornby Streets, in Vancouver's downtown. It's been designed with a cut-out shape, with outdoor gardens that residents can share on every seven or eight floors. Amenities include a number of dining spaces you can book out, a study hall, an electronic library and a rooftop space all residents can use. 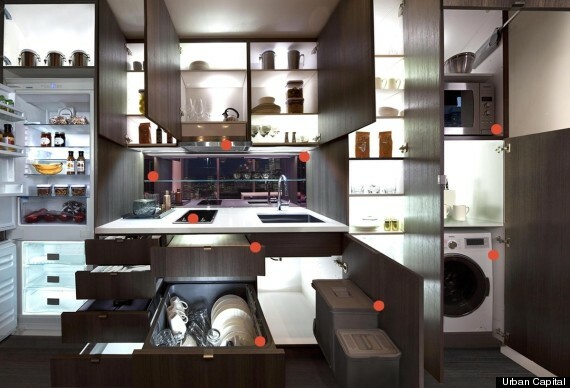 But the truly unique feature of the building is "nano-lofts" — suites measuring about 175 to 275 square feet. Rendering of Reliance Properties' proposed project at Davie and Hornby Streets. Photo via Neil M. Denari Architects. If approved, they could be the smallest apartments in Canada, he said. But approving the project could require some change in terms of how the city defines livability. Its zoning bylaw states that dwelling units must be at least 398 square feet, though exceptions have been made for certain projects. The city is currently undertaking research into how micro-condos might affect the communities in which they're located, examining facets such as their affordability and their impacts on local services. Stovell feels the work is taking too long. But Mukhtar Latif, the city's chief housing officer, said it wants to understand the implications of these tiny units. "There's a whole range of factors we have to take into account, not just the size," he told The Huffington Post Canada. "That's why we have to take our time and make sure we consider the implications before we can come out with a policy city-wide." Results are expected "soon," Latif said. In the meantime, with prices for townhomes and conventional apartments extending out of reach for many Canadians, micro-condos might just help them reach that elusive dream of downtown living.